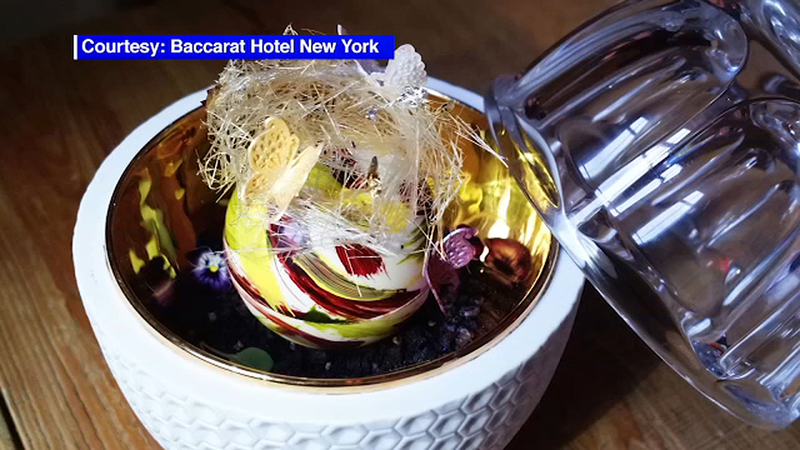 NEW YORK (WABC) -- Would you pay $1500 for a dish of ice cream? A hotel in Manhattan believes some of its high-paying guests will. The Bear Extraordinaire Ice Cream Dessert is on the menu at the Baccarat Hotel. The colorful scoop of vanilla bean is served with edible gold and silver leafing. It's served inside a "Zoo Bear" figurine keepsake, made of crystal and porcelain. The ice cream alone is a mere $300.